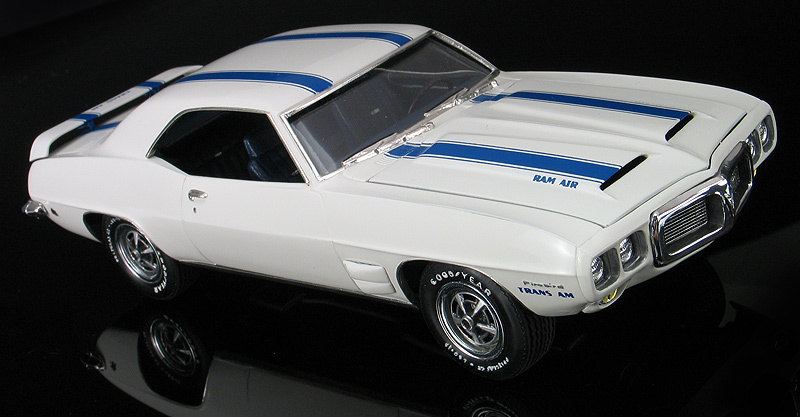 In 1969, the pony car war in full rage and the manufacturers were doing battle on race tracks across in America in the Trans Am series. The Trans-Am series was a road racing league sponsored by the SCCA and run at tracks like Road America and Mid-Ohio. 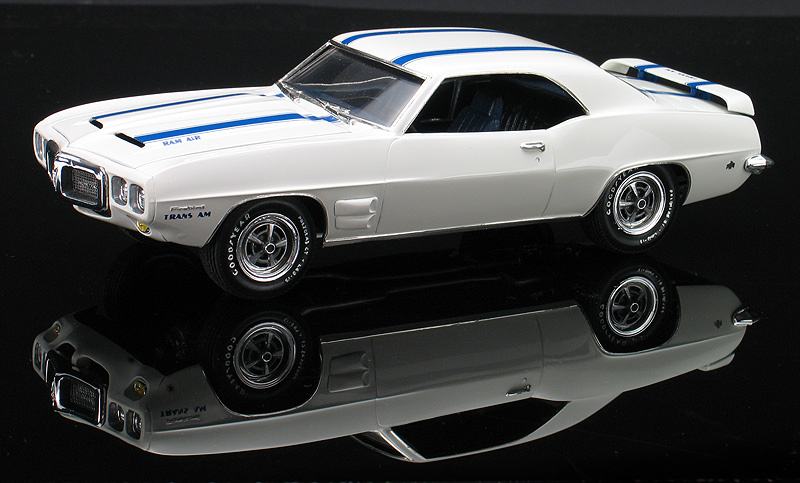 Pontiac paid honor to the series by introducing a special high performance of their '69 Firebird called the Trans-Am. 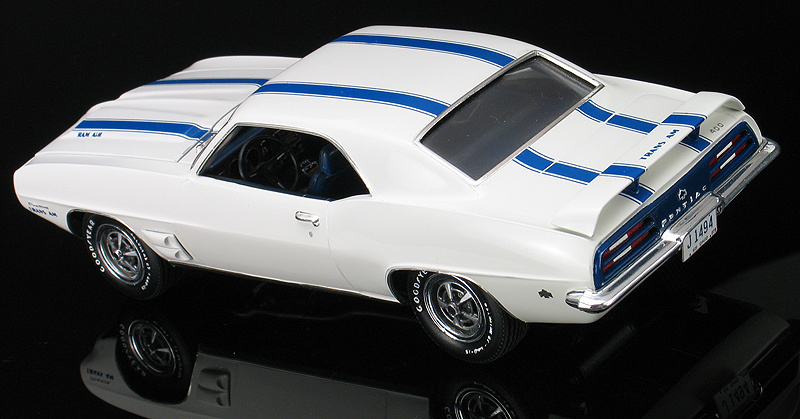 Pontiac painted all the 1st year Trans-Am in white with blue stripes. They also featured a unique hood and trunk wing and came with a hi-po 400 cu. in. Ram-Air motor. 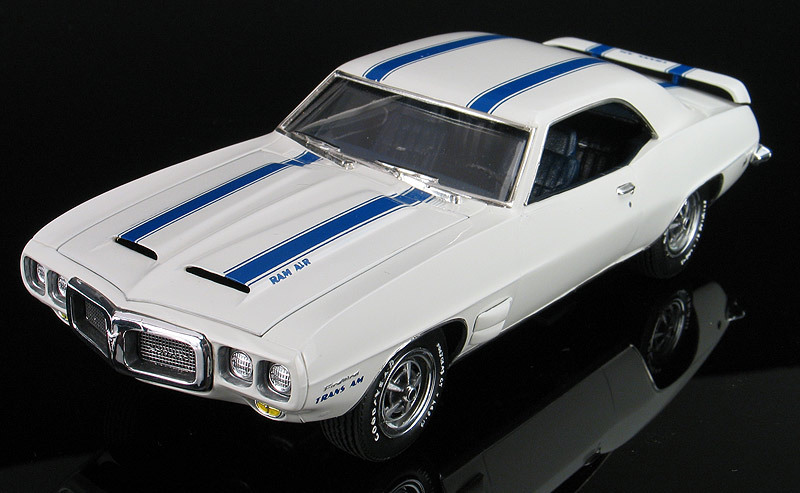 I built my replica '69 Pontiac Trans-Am using the ancient 1/25th scale MPC kit. 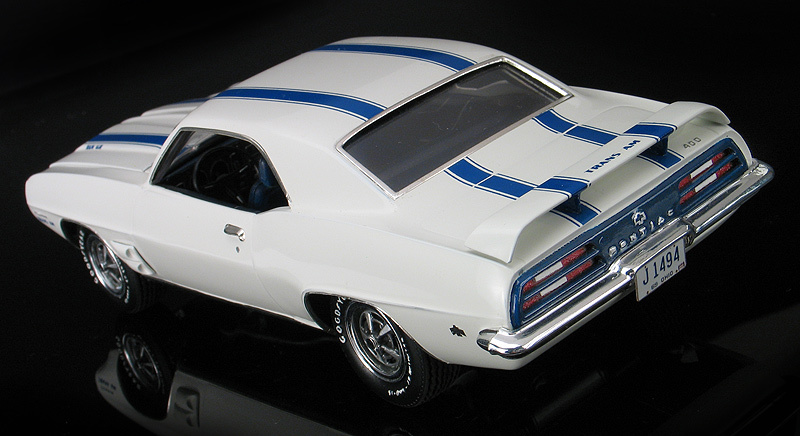 Mine was built mostly from the box except for adding correct Trans-Am striping decals which came from Fred Cady. The license was made from a photograph of an actual '69 Ohio license shrunk donw to the proper scale.